Since being founded in 2002 in Baton Rouge, Louisiana, Marucci Bats has made a dent on the wood baseball bat market. The American company was founded by the Louisiana State University Athletic Director Jack Marucci. The company's co-founders are former Major League Baseball players Kurt Ainsworth and Joe Lawrence. Marucci Bats were born. Marucci first thought of making replica bats after his son Gino wanted a baseball bat of his own so he can copy his favorite stars. Marucci found it difficult to find a bat for his son to use so he made his own. The initial bat made for his son was done with Amish wood and Gino ended up using the bat in his games, which led to Marucci making more bats for Gino's friends. Marucci eventually made a bat for then-MLB first baseman, Eduardo Perez. Through Perez, now the bench coach for the Houston Astros, Marucci found a home for his products in the hands of several MLB stars. Among the MLB superstars that swing these premier wood bats are Jose Bautista, Carlos Beltran, Jose Reyes, David Wright, Ryan Howard, Albert Pujols and Shin-Soo Choo. 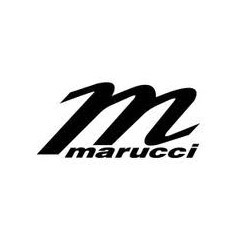 While Marucci Sports began by making only wood bats, the company has since evolved to include BBCOR baseball bats, helmets, bags, batting gloves and a limited edition series of softball bats. The one softball bat offered comes in two weight drop ratios of -8 and -9. Only 500 of each bat were made for 2013 and each comes etched with the serial number. The bats are constructed with Marucci's two piece construction that provides you the ultimate power with each swing.